Congratulations to Brook Roberts for winning the Chocfest 2016 Fight Night last weekend. In the final he faced familiar foe Jon Peat. Using the first-to-two-sets format, they split the first two sets before Brook wrapped up the deciding set 3-0. Brook earned himself 250 rankings points for the tournament win, means he enters the 2016 rankings race in second place and climbs six places in the current 52 weeks rankings to fifth overall. 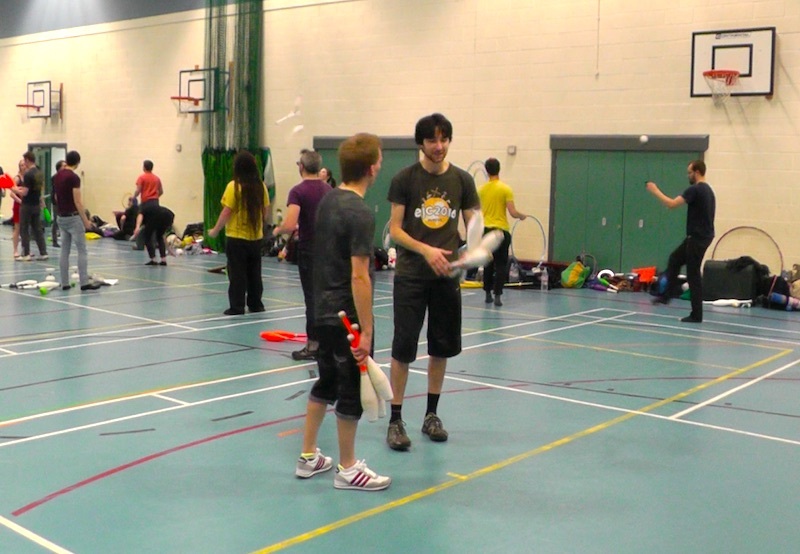 Only eight jugglers entered the tournament, but it met all other tournament level requirements and remained as a 250 event. Dan Wood, last year's losing finalist, had to settle for third place this year, beating Josh Turner in the third place match. A video of the final will be available later, once Luke gets good enough internet to download a big video file.